You need only book passage with Princess Cruises for an unforgettable 15-day cruisetour of American history, featuring a 7-day Canada-New England sailing on the Regal Princess and an eight day land tour of Washington, DC and all the historic New England sites. You’ll enjoy the best of Mother Nature’s fall colors, experience the birthplace of American liberty and enjoy Canada’s scenic beauty and culture. There are four fall dates to choose from in 2017, beginning with the September 16th departure. The last departure is October 7th. You will begin by flying to Washington, DC, where you’ll spend the first night at the downtown Doubletree hotel, and meet with your tour director. Most meals are included with the tour. 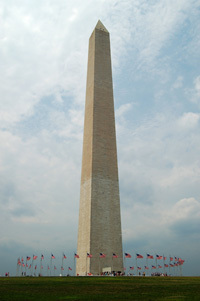 The following day, Day 2, will be filled with sightseeing all of Washington. The next day, Day 3, you’ll visit Mt. Vernon, Jamestown Settlement, Fort James and enjoy dinner in Colonial Williamsburg, and spend the night at the Williamsburg Hospitality House. On day 4, you will spend the entire day in Williamsburg at leisure, where you’ll have time to meet costumed villagers and stroll the quaint streets of this historic town. On Day 5 you will travel to the Confederate capital of Richmond, Virginia, passing many large plantations on the way. Enjoy a tour of local sights, and lunch at historic Michie Tavern before visiting Monticello, the estate of Thomas Jefferson. You will spend the night in Staunton. On day 6, your journey continues through the Blue Ridge Mountains and Shenandoah National Park, reaching historic Gettysburg, where you’ll spend the night. Day 7, in the morning, enjoy the drive through Amish country on your way to Philadelphia. You’ll tour all the historic sites and spend the night there. In the morning, you’ll head to New York, to board your ship that afternoon. You’ll sail out of New York Harbor that evening, following the glittering New York skyline, down the Hudson, to the tunes of “New York, New York!”, past the Statue of Liberty to begin your cruise. This is your chance to become acquainted with this dazzling ship, an impressive vessel of extraordinary design and detail. At 142,000 tons, this magnificent ship has a full array of dining and activities for you to enjoy. Your first port of call features Newport, Rhode Island, the summer playground of the Vanderbilts, the Astors and the Morgans. Optional tours of the mighty mansions of these scions of industry will give you an insider’s view of their opulent lifestyles. The following day is bound to be memorable, as you sail into Boston harbor, where the Freedom Trail winds along three of the most historic miles in the country. See the site of the Boston Tea Party, the route of Paul Revere, and stand on Old North Bridge, where the shot was fired that was heard “round the world”. Boston is a city that every American should visit at least once. The next day of your cruise features Bar Harbor, Maine, site of Acadia National Park, one of the most visited national parks in America. A parkland excursion is just one of many optional tours offered. 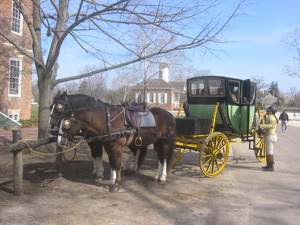 You can also take a carriage ride, traveling back in time as you tour the city, stopping for tea and shopping along the way. Or combine your tour of the park with a Maine lobster bake overlooking Frenchman Bay! The next day will be spent in Saint John, New Brunswick, Canada’s oldest city. Saint John’s history is evident in its weatherworn look, owning to the salt air and sea winds. The city houses grand Victorian homes and buildings, the oldest continuing farmers’ market in Canada, and the seaside resort of St. Andrews. Your final port is Halifax, capital of Nova Scotia. The ship will offer many optional shore excursions at each port of call. For instance, visit famous Peggy’s Cove, a weathered fishing village with its historic lighthouse or take a walking or driving tour of the 18-acre Victorian gardens, thought to be the oldest on the continent. You’ll also be enchanted with the many old and beautiful restored buildings in the finely preserved waterfront area. There are also many museums to explore in this old, British-influenced city. Your last day of the cruise is at sea, as you sail back into the US. You'll be able to rest up and enjoy the many ship activities and programs before disembarking the following morning, back in New York City.